Tomáš "oskar" Šťastný and Sergey "lmbt" Bezhanov​ have signed with HellRaisers, according to an announcement by the organization published Sunday. Lmbt will replace Amiran "ami" Rekhviashvili as coach, and Bence "DeadFox" Böröcz will be sent to the bench. 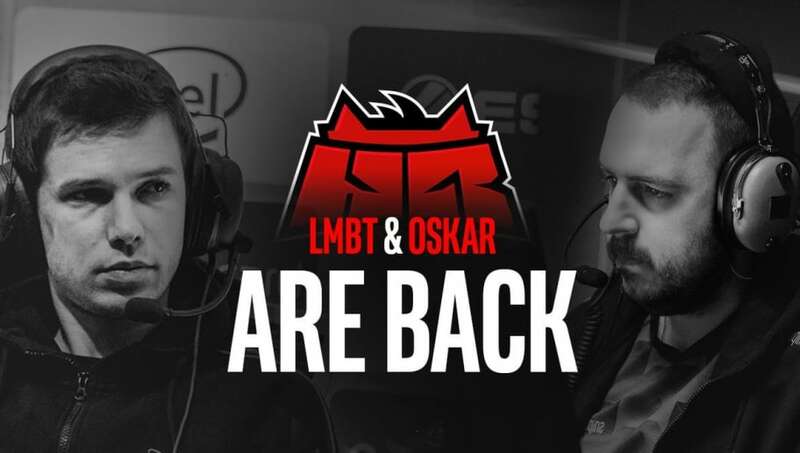 Both oskar and lmbt have previously worn the HellRaisers ​Counter-Strike: Global Offensive colors. Oskar first played for HellRaisers from October 2015 to August 2016, with wins at the Columbus Europe Minor Championship and the 2016 Copenhagen Games highlighting his time on the roster. 💥@CSGOoskar & @LMBT_CSGO are back in HR! Lmbt managed Astana Dragons, the team that preceded HellRaisers, and transitioned into the same role when HellRaisers first formed. He moved to coaching the team in June 2015 and stayed there for a year. He's since coached Selectah and mousesports. In a statement accompanying the announcement, oskar shed some light on the situation leading to his joining HellRaisers. His comments raise questions about his mental state, as they show a desire for a break stifled by this new opportunity. "HellRaisers was the first team that showed interest in me," he said, "and I really like ANGE1. I wasn’t sure at first though because I really needed a break from CS, but eventually I decided to sign for a short period. I will do my best to not disappoint HR. In general, it feels good to be back, and I can’t wait to fire up and destroy the dreams of some teams." The active HellRaisers lineup now includes Kirill "ANGE1" Karasiow, Abay "HObbit" Khassenov, Issa "ISSAA" Murad and oskar.